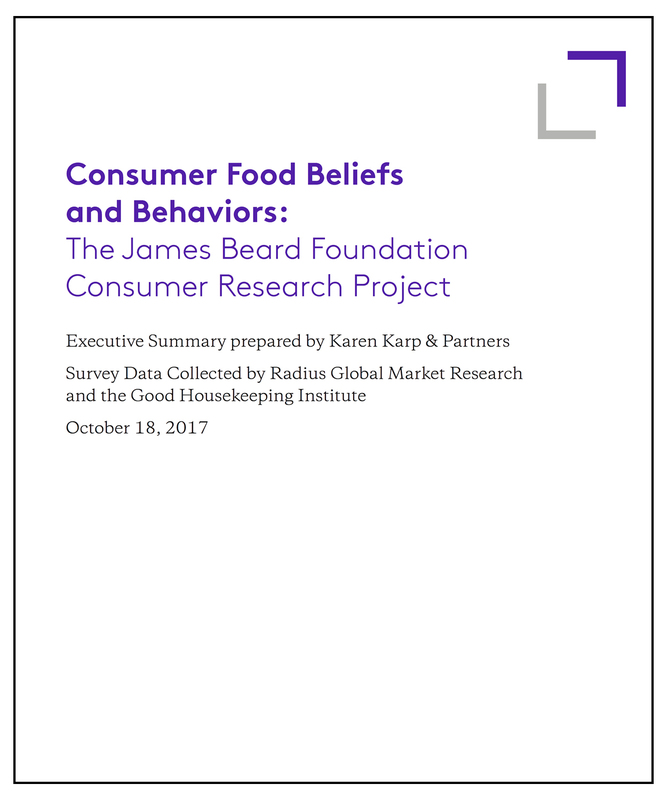 In conjunction with the James Beard Foundation 2017 Food Summit: Consuming Power, which took place this October 23rd and 24th, KK&P worked with The James Beard Foundation, Radius Global Market Research, and the Good Housekeeping Institute, to conduct a research study that examined American consumers’ motivations behind their food choices, beliefs, and behaviors. The goal of the research was to understand the complexity of influences—health, flavor, media, environment, affordability, income, and food companies among them—that face consumers making decisions about food. The findings became a springboard for several conversations at this year’s Food Summit and, we hope, will contribute to efforts to bring positive changes in the food industry. Representing the first original research conducted by the JBF Food Summit programming team, KK&P developed a 10-question survey which was distributed online to 1,105 randomly selected U.S. adults. The same survey was also distributed by Good Housekeeping to their subscribers in late July 2017 and received almost 2,500 responses. The results from both surveys were largely similar in their tenor and in the preferences and beliefs expressed by respondents. Further research was also conducted at a roundtable of food industry executives held in August 2017 at the James Beard House in New York City. The executives and several experts in food consumption data were engaged in a conversation on issues related to those highlighted in the survey and informed by the responses received. 67% of Americans have changed the way they eat to improve health and wellness in the past three years, and 70% of those are now eating healthier foods. Meanwhile, 33% have not changed their food choices in that period. Consumers who have done the least to improve what they eat are people 45 and older. 81% of people under 45 have changed their eating habits over the last 3 years. Whether they were Republicans or Democrats didn’t make a difference in how respondents thought about health, taste, and food production methods. However, income levels, geography, and type of residential area (urban, suburban, rural) did correlate with how people thought about those food issues. Nearly 30% said they don’t care where their food is grown or raised and 33% do not believe that organic food is healthier. On the other hand, 76% want to know the environmental impacts of their foods and 90% want to understand the ingredients and have accurate nutritional information displayed. In terms of top factors in making their own decisions, 62% of people chose taste as the most important factor in making food choices, while and health and wellness concerns came in a close second. Around 50% of people said that the biggest influences on what they eat are external factors such as food companies, retailers and advertisers. Tradition as a leading factor in peoples’ food choices is on the wane, with only 41% of people citing it as a top influencer. “Designing and executing our own research in partnership with JBF and Radius Global was an important step in the evolution of this annual conference. The results provided a unique context for speakers to respond to, and allowed the planning team to be more engaged in this process. The findings provided an additional level of understanding of the complexity of people’s relationship to food that we explored live at this year’s conference,” said Karen Karp, who has been the co-producer and co-designer of the JBF Food Summit for the past nine years. 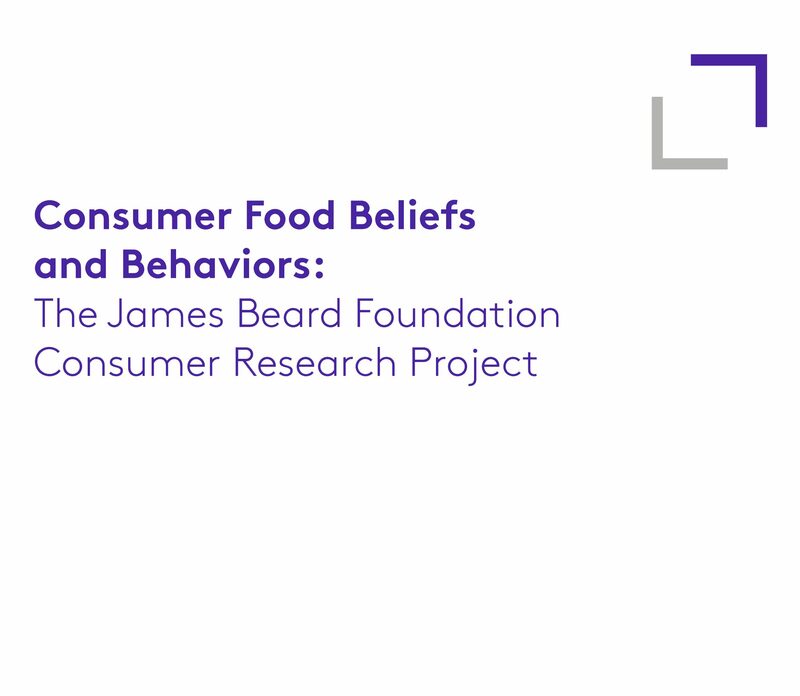 Read the full findings: JBF Consumer Research Project: Consumer Food Beliefs and Behaviors. Watch the LiveStream of the Summit here.